Gunki Alu Multifunction Pliers 5.5"/140mm overall weight is surprisingly light due to the fact that it is made out of aircraft grade aluminium, with a smooth moulded metal finish they fit perectly in your hand. These really are top quality pliers are just that, they have that reassuring rugged heavy duty feel to them. 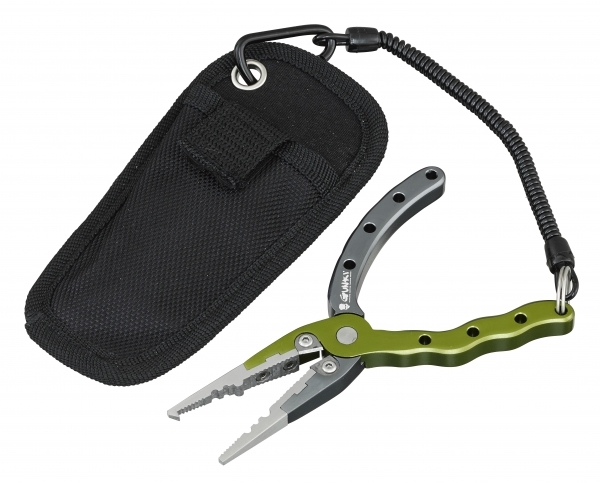 The Gunki Alu Multifunction Pliers include a Cordura sheath and lanyard with carabineer clip for quick use which can be fitted to your belt they will always be just ready to use.